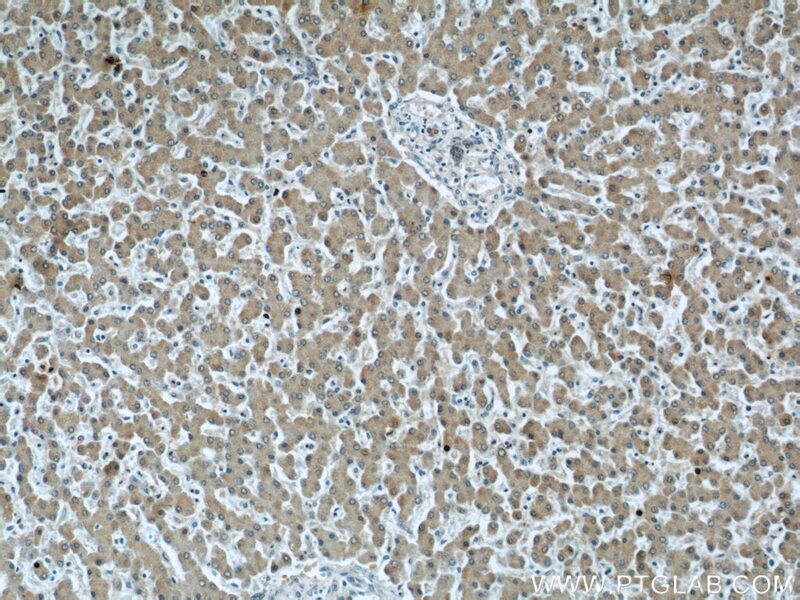 Immunohistochemical analysis of paraffin-embedded human liver tissue slide using 66157-1-Ig (C3/C3b/C3c antibody) at dilution of 1:50 (under 10x lens). 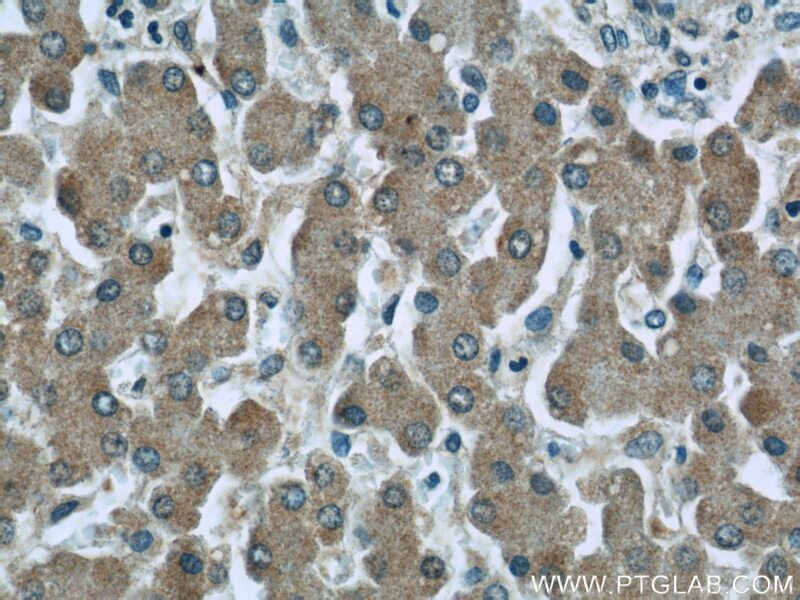 Immunohistochemical analysis of paraffin-embedded human liver tissue slide using 66157-1-Ig (C3/C3b/C3c antibody) at dilution of 1:50 (under 40x lens). The complement system is an important effector which bridges the innate and adaptive immune systems (PMID: 20010915). The third component of complement, C3, plays a central role in the activation of the complement system. Its processing by C3 convertase is the central reaction in both classical and alternative complement pathways (PMID: 11414361). Human C3, composed of α and β chains (115 and 75 kDa, respectively), is cleaved into C3a and C3b by C3 convertase. C3b is further cleaved into iC3b, C3c, C3dg and C3f. 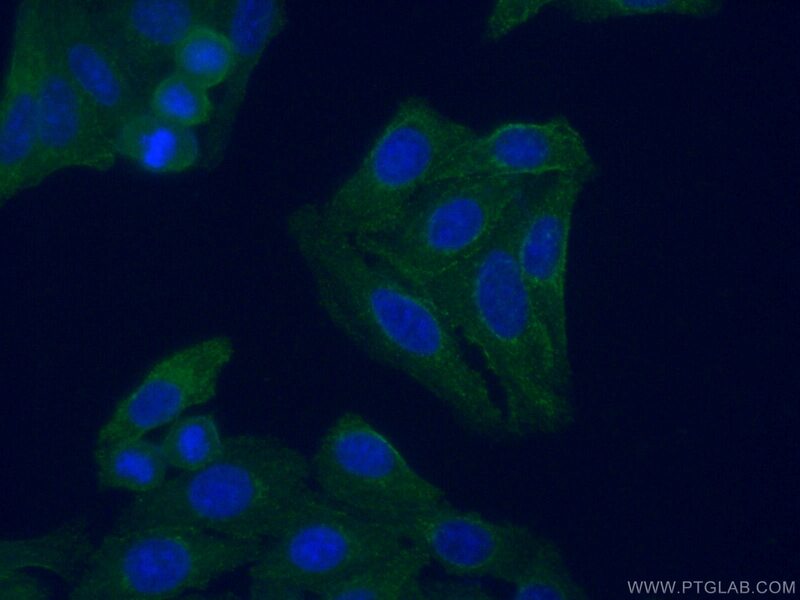 This antibody raised against 1314-1663 aa of human C3 protein recognize C3 alpha chain, C3b alpha' chain, and C3c alpha' chain fragment 2. Quantitative iTRAQ-based proteomic analysis of piperine protected cerebral ischemia/reperfusion injury in rat brain.